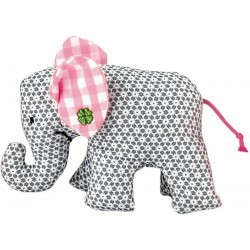 Fantasalto is the funny new elephant theme series with integrated crinkle foil and rattle and he always carries his handkerchief with his trunk. 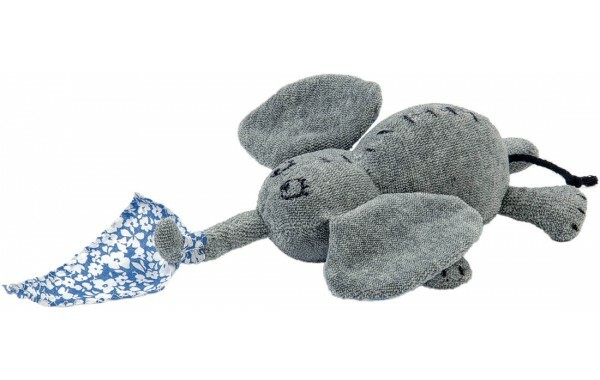 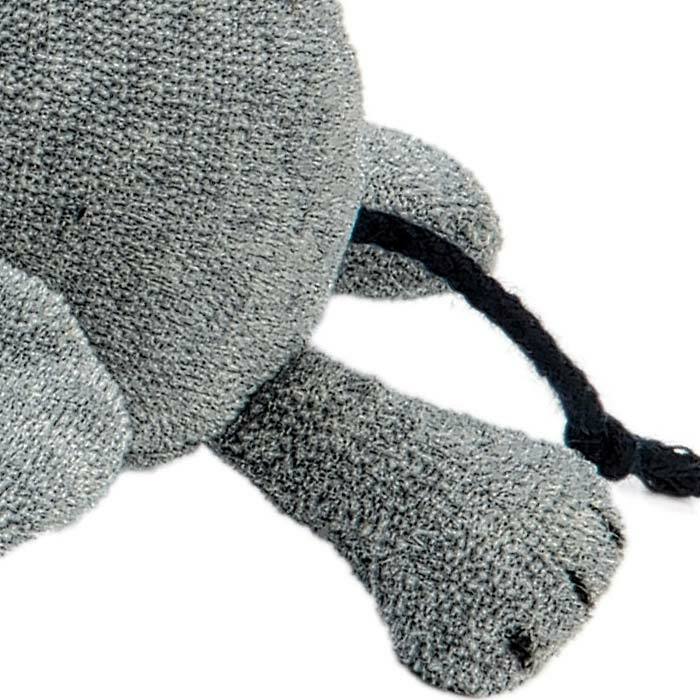 His legs, tail, trunk and ears provide many opportunities for curious fingers. 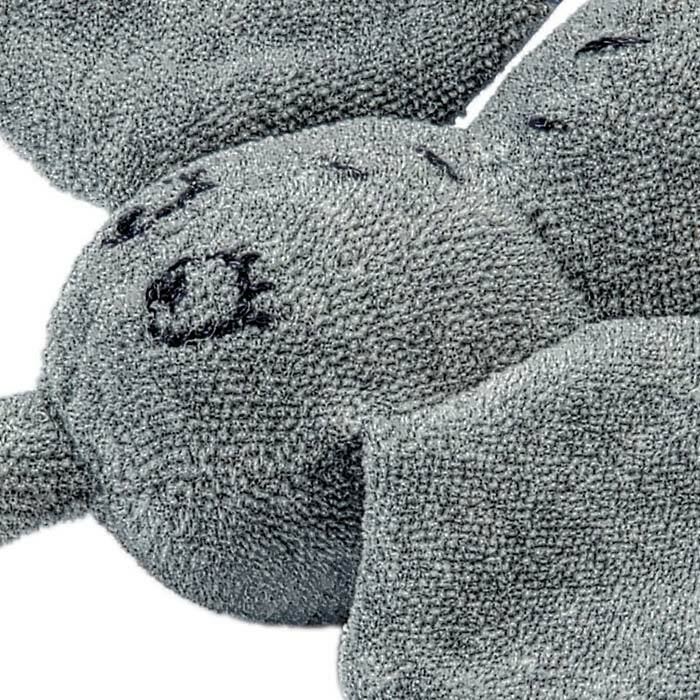 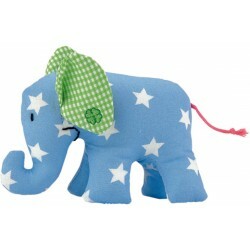 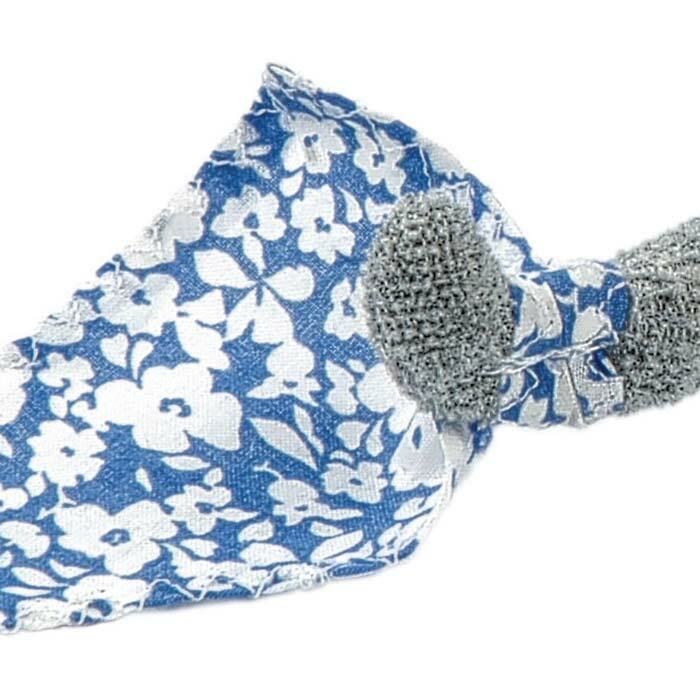 The rattle is made of soft velour fabric, decorated with embroidery and stuffed with fiberfill.